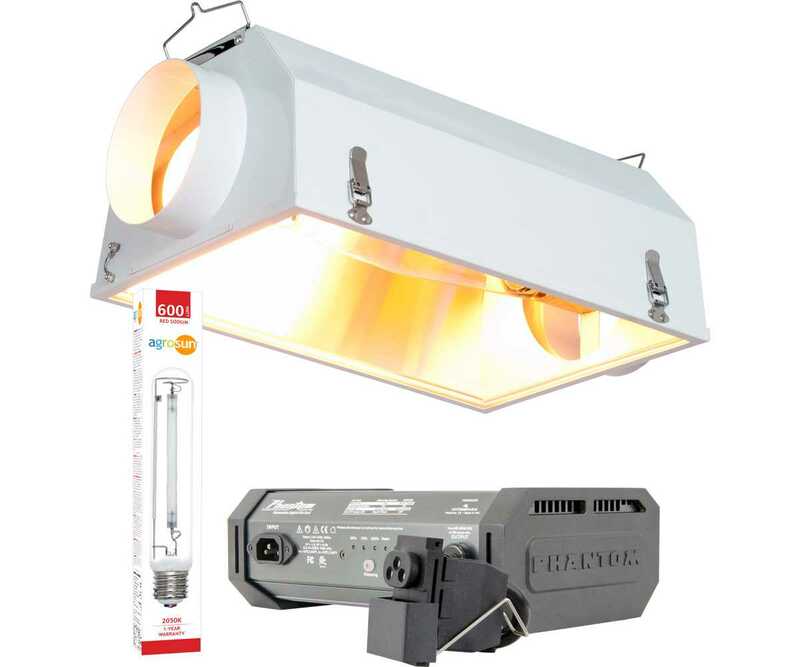 Hydrofarm has made it easy to get growing by combining these popular lighting components into a convenient kit. It includes a Phantom II 600W 120/240V Dimmable Digital Ballast, Daystar 6" Air-Cooled Reflector, and an Agrosun Red Sodium 600W High Pressure Sodium (HPS) Lamp. The Phantom II Digital Ballast takes the reliability and engineering superiority of the original Phantom ballast and adds industry-leading Smart Alert Technology, setting a new standard for excellence and functionality. The Phantom II is totally silent, energy efficient, reliable, and lightweight. The Daystar AC is the answer for those wanting high performance coupled with maximum air-cooling potential. Utilizing the same patented double-wall design and reflective material as our flagship Daystar unit, the Daystar AC adds two 6" integrated flanges for cooling air flow from an optional fan. Agrosun Red Sodium lamps are the best choice among single-ended lamps for enhanced flowering, increased crop volume, and supplemental greenhouse lighting.